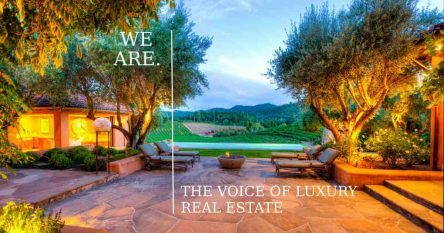 Many rural Napa Valley real estate owners are fed up with the unfair rules and regulations placed on them by the county government. My colleague and friend, Jeffrey Warren, recently confronted this issue in a letter-to-the-editor that I thought was absolutely brilliant. In his letter, Jeff clearly lays out the differences between the rules for property owners who live on the valley floor versus the rural folks who live in the hills or “sub-valleys” and mountains. Jeff’s letter was prompted by the Napa County Board of Supervisors passing yet another regulation that tramples on the rights of rural property owners. This newest regulation requires rural residents to pay for private road improvements, should they ever add 50 percent to the assessed value of their home. This means if a homeowner wants to add two extra bedrooms, for example, he’d be on the hook for tens of thousands (or more) to widen the road to his property and provide turnouts. Many rural landowners here in Napa County share the same private road with their neighbors and have what’s called a “prescriptive easement,” which gives them the right to drive on the private road that passes through neighboring properties. A homeowner who needs to widen the road, however, would need permission to use the land from his neighbors, who could then charge a hefty fee or simply refuse the request. Simply put: Your neighbors have control of what you can do with your own property. For the county government to have this regulation, and ultimately prevent someone from adding to the assessed value of their home, is unfair. It’s even more unjust to apply this rule only to a certain type of homeowner – in this case, rural landowners living in Napa County’s hillsides and other outlying areas. An owner of 320 acres on the valley floor can build up to eight separate homes on their property (one for every 40 acres). But an owner of 319 acres in the hills is restricted to building only one house, where the rule is one for every 160 acres. Additionally, rural landowners who want to build have to submit a geologic report for earthquakes. Government employees have to come out to report on the flora and fauna. Fish and Game gets involved. And planting grapes on a hillside property requires an erosion control plan. Other stringent rules exist here in Napa County that apply only to rural property owners. If someone wants to build on a hillside, for example, they must submit a lighting plan to the county to negate “night pollution.” As Jeff points out in his letter-to-the-editor, no one protects hillside residents from seeing lights on the valley floor. And during his lifetime of living in Napa County’s hills, he’s gone from seeing one light at Tripoli’s market to seeing thousands of lights from countless sources spanning across the valley. Rural residents are also restricted to where they can build on their own property. “We are subject to ‘viewshed’ restrictions and ‘stream back’ restrictions, and our Hillside Ordinance,” Jeff wrote. “Ridgelines must be avoided. No one wants to ‘see’ houses in the hills.” New dwellings must also be covered by 50 percent landscaping, which does not apply to new construction on the valley floor. 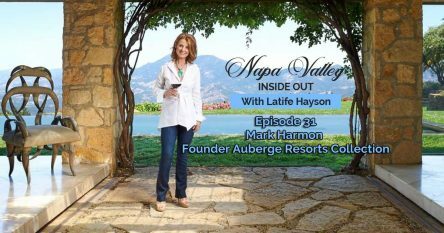 “We are Napa Valley’s most discriminated against group,” Jeff wrote. If you haven’t already, I encourage you to read Jeff’s full letter online on the Napa Valley Register website. He makes many excellent points and really lays out the frustrations shared by so many rural landowners. 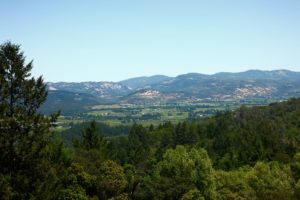 If you are interested in hillside Napa Valley real estate, I have a wealth of experience from a recent off-market hillside transaction where I saw firsthand how some of the new restrictions that snuck in overnight have impacted rural hillside landowners, and I would be delighted to bring you up to date so you don’t get caught off guard when it’s too late. Contact me at 707-738-4820 or via email at [email protected]. I would welcome the opportunity to share my insider information on luxury estates, vineyards and wineries. I’m looking forward to discussing your needs!